ATG has its presence around the world in producing and selling ‘off-highway tires’, supporting fields, mines, forests, and factories. With the sales capability development initiative, the organization looks to augment its marketability across various regions to support business growth. The program, aptly titled “Astra” – ATG Sales Training is an 8-month, highly experiential learning journey which incorporates simulations, boardgame activity-based solutions, and business impact projects geared to improve business acumen, consultative selling, negotiation, strategic sales management and executive excellence capabilities and equip the team to deliver on the promise of global expansion. “We aim to equip our people with stronger sales capabilities. Moving away from traditional classroom training, we conceptualized learning method which is related to on-the-job experience of the participants. KNOLSKAPE’s solution caters to our specific needs in terms of the capabilities, the methodology as well as the application and impact,” says Rajeev Singh, CHRO at ATG. About this partnership, KNOLSKAPE Founder & CEO, Rajiv Jayaraman adds, “We are thrilled about this partnership with Alliance Tire Group, because we share a common mission of delivering superior value to our customers through innovation and technology. Our goal, through this intervention, is to deliver high learning and developmental impact at ATG so that they may deliver strong outcomes for their customers”. December 20, 2018 - No Comments! 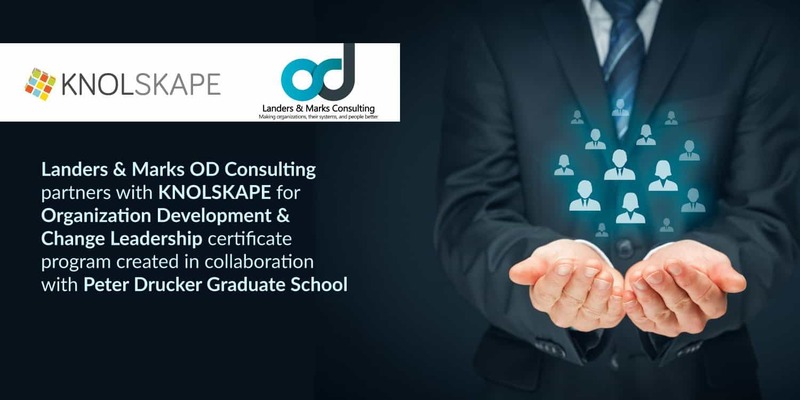 Landers and Marks OD Consulting and KNOLSKAPE are proud to announce a global alliance for a Certificate Program in Organization Development and Change Leadership offered by the Peter Drucker Graduate School of Management. 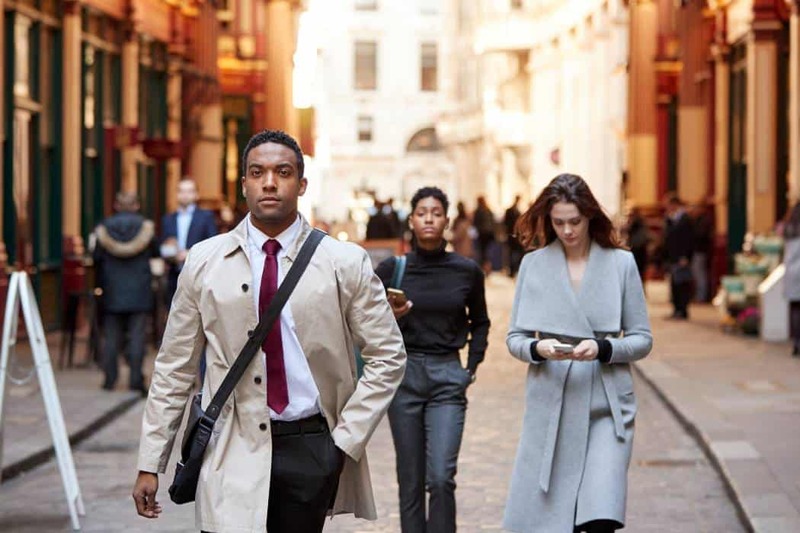 The certificate program, developed by Landers & Marks, in collaboration with the Drucker Graduate School, is the most comprehensive on the topic offered anywhere in the world. The certificate program will leverage KNOLSKAPE’s change simulations. The world has become a highly volatile business environment. Changes are occurring in technology, ecology, finance, politics and moreover which, companies have little or no control. By becoming more adaptable and flexible, by learning how to quickly and effectively lead change, executives and leaders can keep their companies viable and competitive. Learning to effectively plan and lead change provides a competitive advantage in the short-term as well as the long run. “KNOLSKAPE’s online change simulations add a mastery dimension to the Certificate Program that few if any, other universities can offer. KNOLSKAPE possesses a state-of-the-art online training delivery system services more than 300 clients in twenty-five countries. 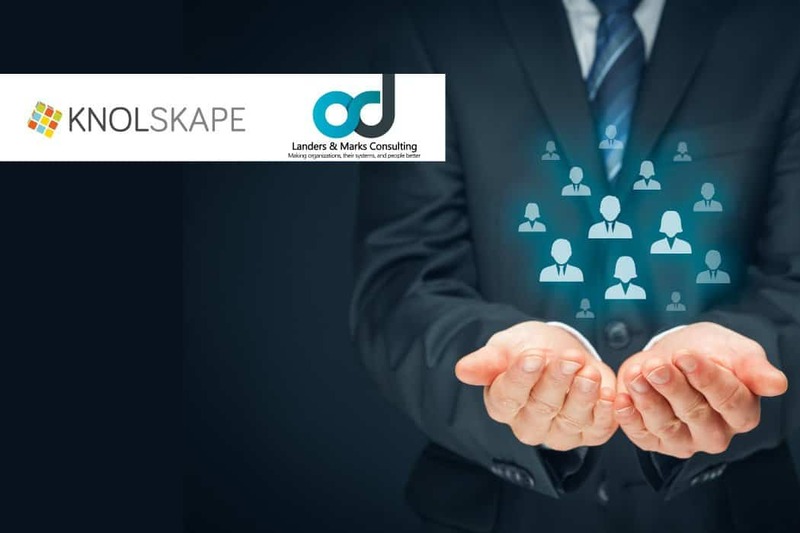 Landers & Marks adds cutting-edge change leadership content to KNOLSKAPE’s training database. Together, we envision reaching new clients in new countries and improving their ability to effectively plan and lead change,” adds Rajiv Jayaraman, Founder & CEO of KNOLSKAPE. In addition to the Peter Drucker Graduate School of Management, Landers & Marks is also aligned with the Peter Drucker Societies, which are active in over a dozen countries. Landers & Marks OD Consulting, LLC was established in February 2017 by Alan Landers and Liron Marks. L&M ODC represents the continuation of an OD and Training consultancy that began in 1989. Together, Alan and Liron bring 50 years of OD and change leadership experience. They have worked across 15 industries with organizations ranging from Fortune 100s to small nonprofits. Their partners include the Peter Drucker Graduate School of Management, KNOLSKAPE, and other multinational learning organizations from Asia to Europe, all dedicated to the education and development of working professionals. 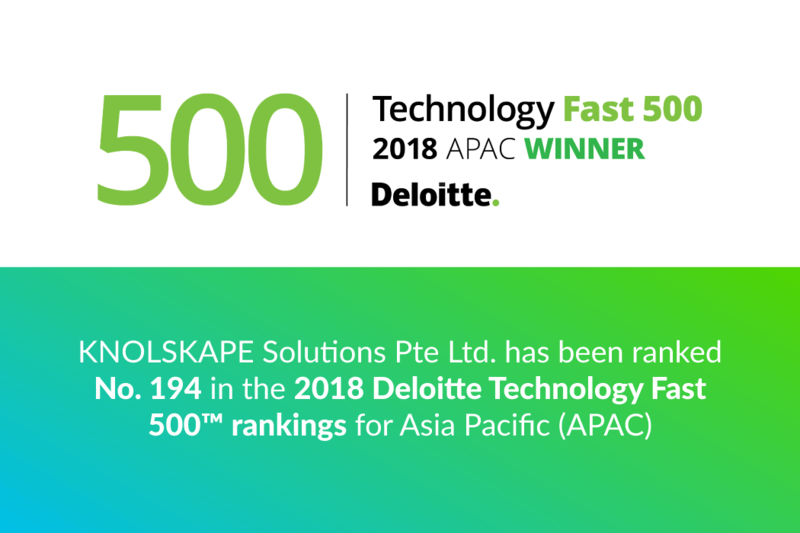 KNOLSKAPE, an end-to-end learning and assessment platform for accelerated employee development has been named a Deloitte APAC Fast 500 Company in the Technology sector. Standing at position no. 194, KNOLSKAPE has a reported revenue growth of 401% between 2016 and 2018. 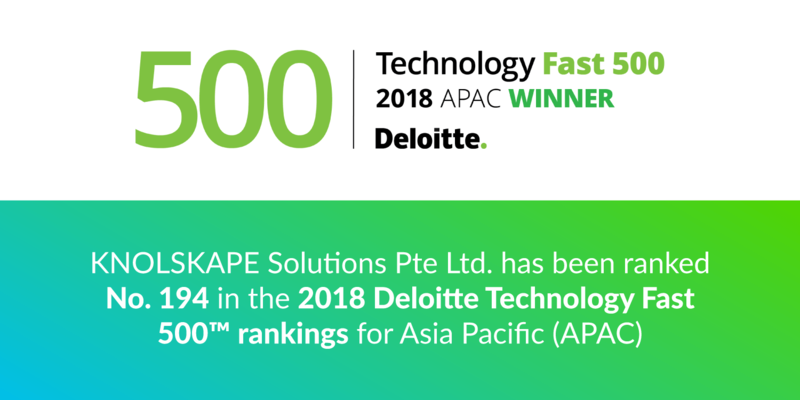 The Deloitte Technology Fast 500™ award program assesses organizations across a variety of industries based in Australia, China (including Hong Kong), India, Japan, South Korea, Malaysia, New Zealand, Singapore and Taiwan, that combine technological innovation, entrepreneurship and rapid growth, and are transforming the way business is done today. KNOLSKAPE has previously also been recognized a Top HR Disruptor in the Learning Space by Bersin by Deloitte. 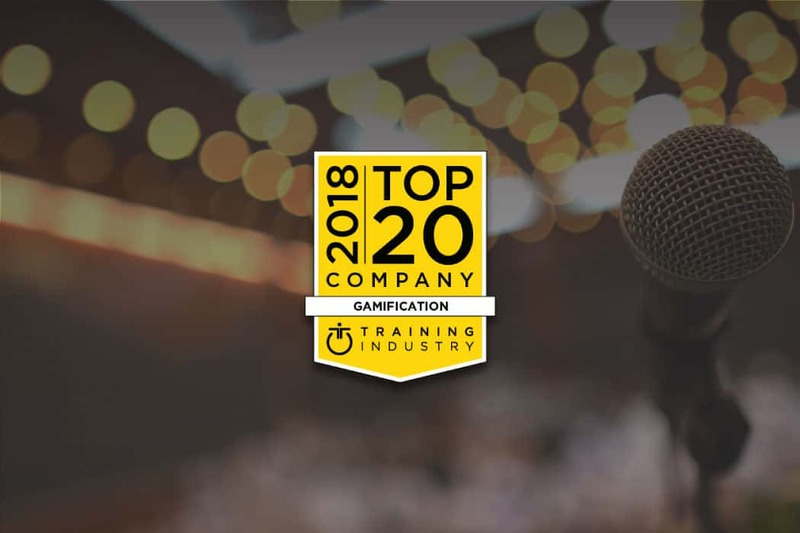 Recently, the company has also been certified as a Great Place to Work®, won a Brandon Hall Technology award for its Digital BLUR™ solution, and named a Global Top 20 Gamification company for the fourth time. Visit KNOLSKAPE to know more. 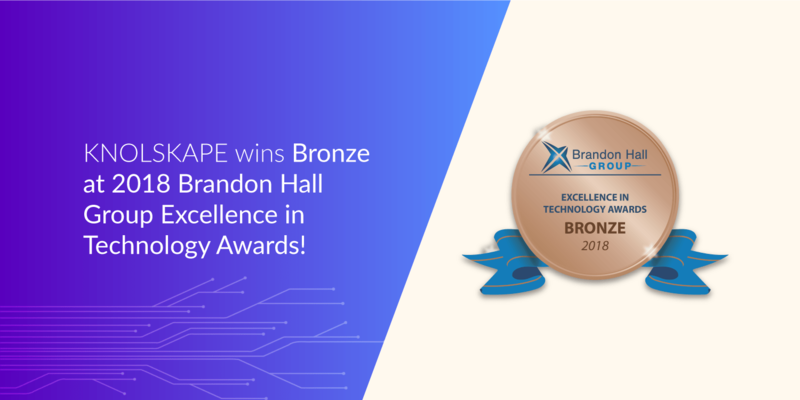 KNOLSKAPE wins Brandon Hall Excellence award for the 4th year. 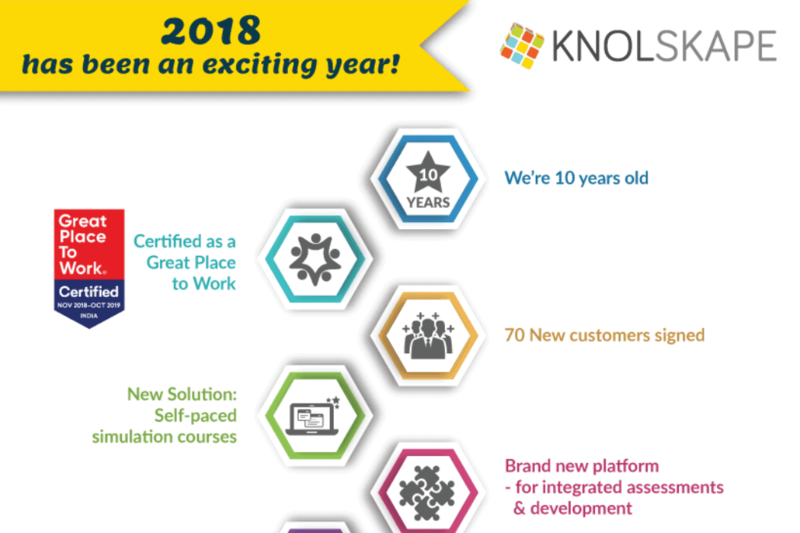 KNOLSKAPE, an end-to-end learning and assessment platform for accelerated employee development wins its first ever award for its Digital BLUR™ solution, with a bronze from Brandon Hall in the Best Advance in Unique Learning Technology category. Created by KNOLSKAPE, Digital BLUR™ is a framework geared to help organizations navigate the disruptions and prepare the organization for success in the Digital Age. This is the fourth year the organization is winning a Brandon Hall Award. 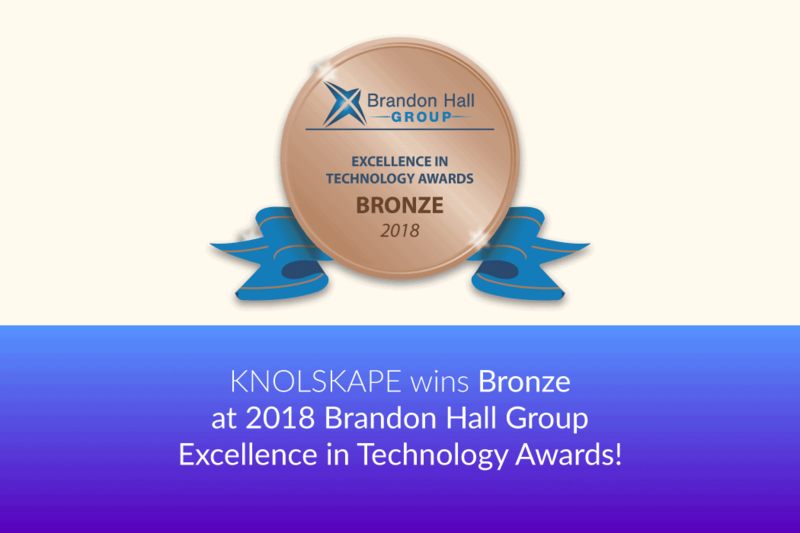 The Brandon Hall award was judged on criteria such as Product Innovation, Product features, Unique Differentiators, Value Proposition, and Measurable Results, which awarded KNOLSKAPE a bronze award for the Digital BLUR™ solution deployed at a private sector bank. “We have been working on the Digital BLUR™ concept for nearly two years now, based on conversations we have had with customers and research on the trends and challenges that digital disruption is creating. Winning a Brandon Hall award for something that we developed in-house is testimony to the effectiveness of the Digital BLUR™ solution. We look forward to helping more organizations navigate the Digital Age with our solution”, says Rajiv Jayaraman, CEO and Founder of KNOLSKAPE. Jayaraman is also in the process of publishing a book on Digital BLUR™, slated to release in early 2019. 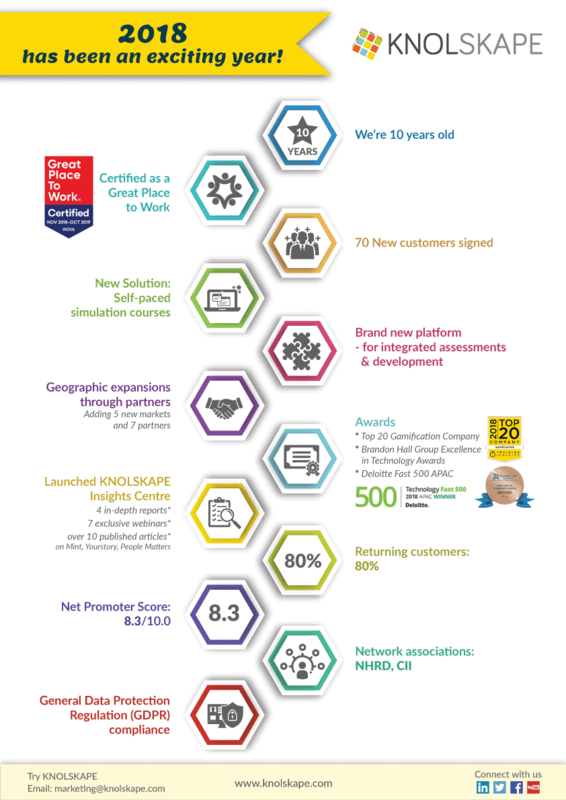 KNOLSKAPE closes 2018 with a major haul of awards and recognitions such as a Great Place to Work® in India for 2018-2019, Deloitte Fast 500 company in APAC and Top 20 Gamification Company in the World to name a few. Bengaluru India, Monday, October 22, 2018: KNOLSKAPE, an end-to-end learning and assessment platform for accelerated employee development is a deemed GDPR complaint company for client data collection, analysis and protection. 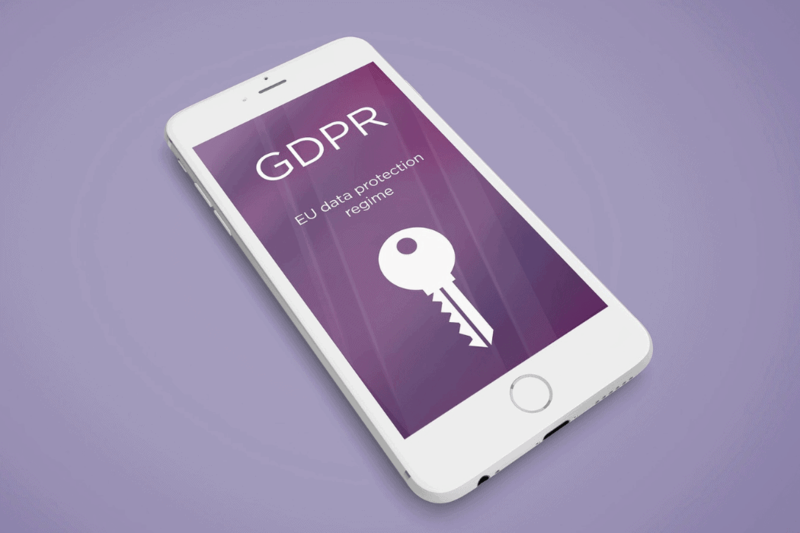 KNOLSKAPE is one of the early adopters of GDPR compliance outside the European Union. All KNOLSKAPE learning and talent assessment platforms and products are now GDPR compliant. Keeping customer and regulatory requirements in mind, KNOLSKAPE employed a specialized risk and compliance consulting company to help accelerate the conformity to GDPR guidelines for all critical processes and functions encompassing – Human Resource Management, Finance & Legal, Product Development, Infrastructure, Instructional Design & Content Management, Customer Success & Facilitation, Sales, Solution Consulting & Marketing. 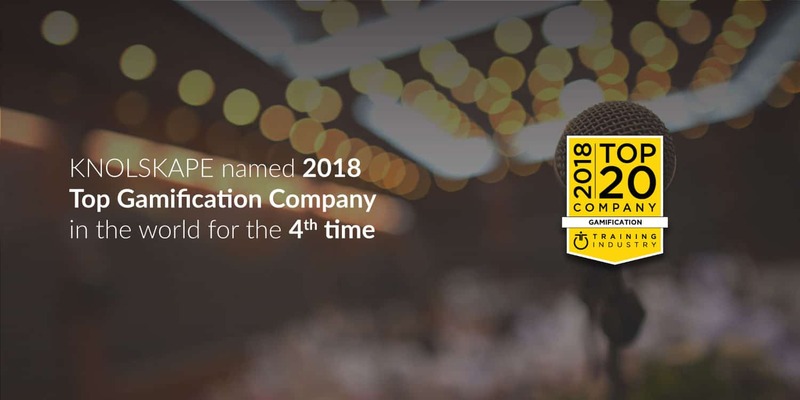 Commenting on successfully completing the compliance, Rajiv Jayaraman, CEO and Co-founder, KNOLSKAPE said “KNOLSKAPE has significantly expanded its global delivery capability to cover all continents. Therefore, securing GDPR compliance to continue serving our growing customer base has been an organizational priority. We are very pleased with our efforts to ensure the necessary process changes to adhere to the regulation. A company employing residents or citizens of European nations. The company’s client employs citizen or residents of EU. October 12, 2018 - No Comments! A latest research by KNOLSKAPE throws light on the state of L&D in India, APAC and UAE and reveals that while 70% of L&D and talent leaders may ensure alignment of their L&D plan with firm strategy, mission and vision, only 65% of leaders believe their learning strategy is agile. 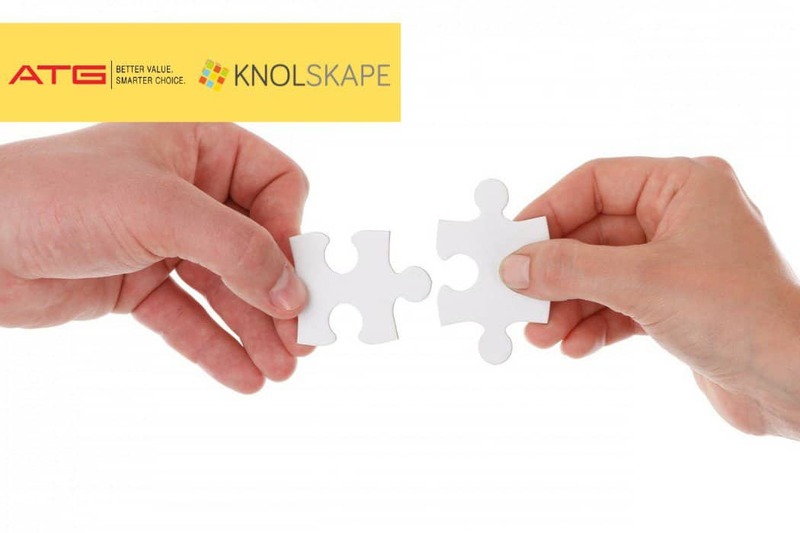 The learning and assessment platform, KNOLSKAPE has unveiled its recent report on L&D titled, “Bridging the Outcome Gap” for India, APAC and UAE and has made some interesting revelations. While 78 percent of respondents believe that their Learning and Development (L&D) plan is in line with their business strategy, only 56 percent of respondents agree that the L&D function is viewed as a strategic arm of their organization. The report also reflects on the scalability of L&D solutions and emphasizes the importance of measuring L&D ROI. 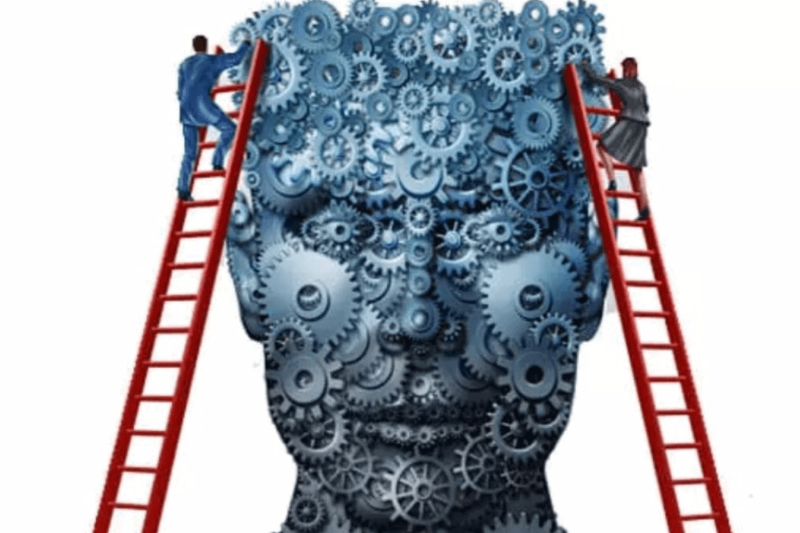 The study gauged the intent of aligning learning needs to business requirements and found that over 70 percent of L&D and talent leaders may ensure alignment of their L&D plan with firm strategy, mission and vision, and help in syncing with the annual plan. Further, 75 percent of respondents agreed that L&D planning happens concurrently with the annual planning cycle. However, despite putting so much effort on planning, only 65 percent of leaders believe their learning strategy is agile and adaptive to changes in the external environment. Is L&D considered a top strategic priority? While skilling should be the key focus area in the rapidly changing business environment, L&D still misses to be in the top priority list for organizations. Only 56 percent of the professionals agree that the L&D function is viewed as a strategic arm of their organization and not merely a cost-center. As per another interesting insight, the majority of the respondents (86 percent) said that when the Training Need Analysis (TNA) is crafted, inputs of key business stakeholders are taken into consideration. 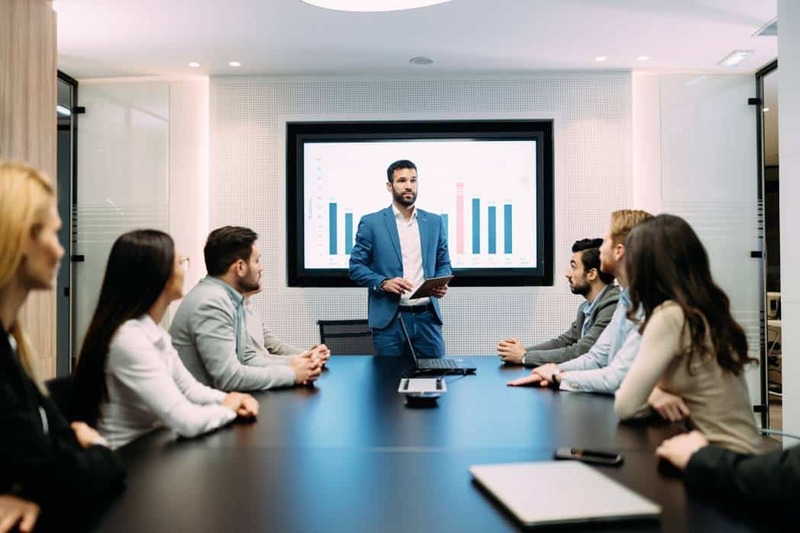 However, only 65 percent of them believe that leaders in their firm understand how training delivers intended business outcomes. 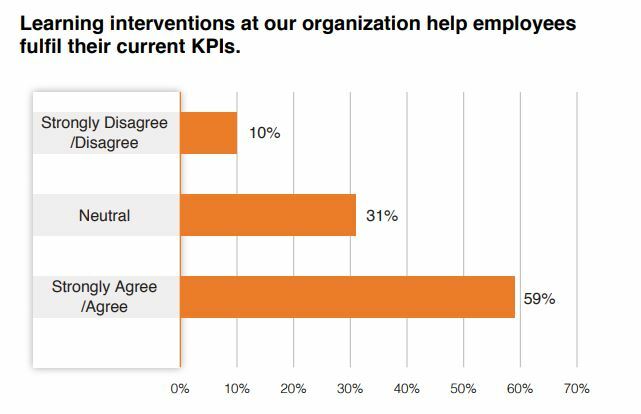 59 percent of the leaders feel that learning interventions at their organization help employees fulfill their current KPIs. 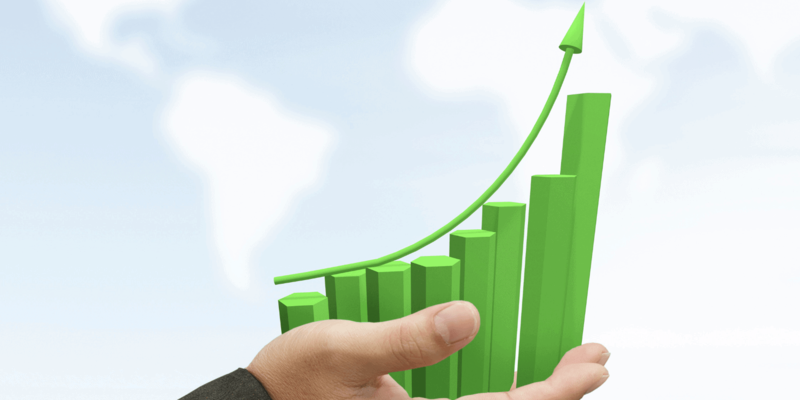 How are organizations calculating L&D ROI? While up to 65 percent of professionals agree to utilize the 70-20-10 approach to learning, only 17% of respondents utilize up to level 4 (results) of Kirkpatrick’s model for learning impact assessment. Additionally, about 60 percent of formal learning in organizations is still facilitated through classroom learning or web-ex. How capable are the L&D teams? 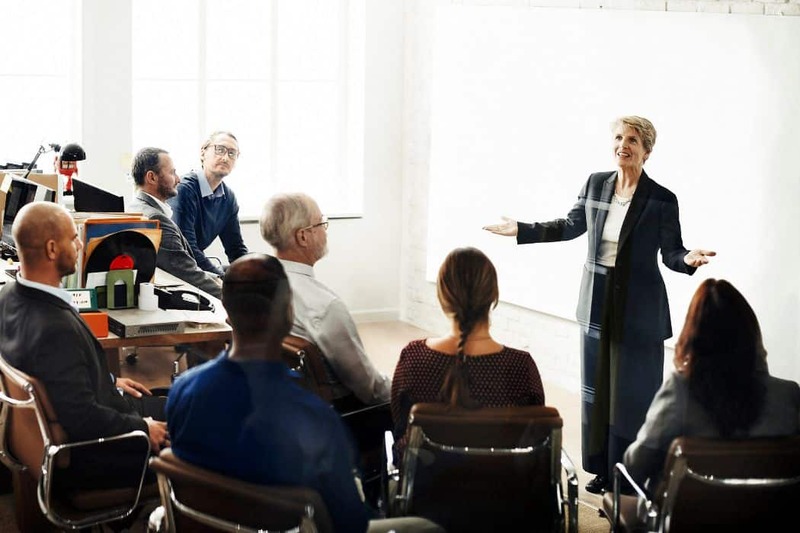 L&D professionals need to be equipped and trained in business nuances which can help them align business objectives with training needs of an organization. However, the report shows a gap. 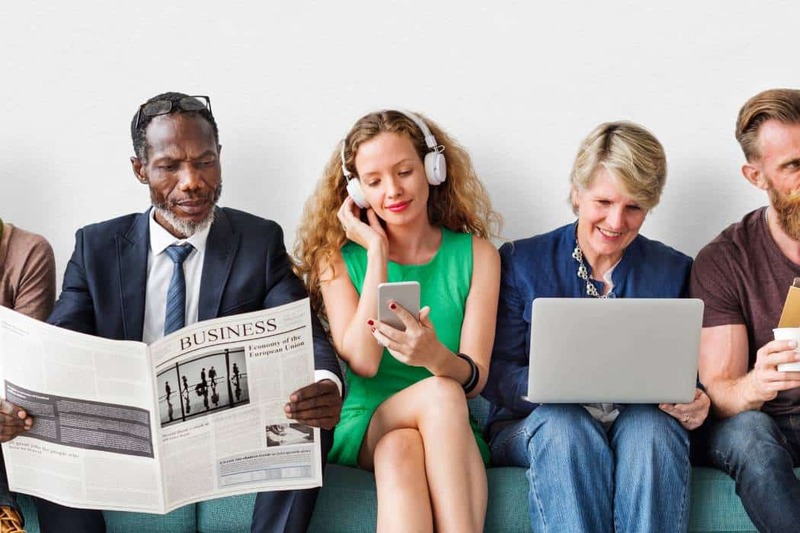 While 67 percent of the respondents agree that their L&D team can anticipate the training required to meet the future demands, only 44 percent of respondents feel the L&D team can state the financial performance of their company. To be able to deliver a well-aligned business strategy, the L&D team needs to build its own capabilities and get familiar with the business nuances and the changing demands. The more aware the L&D teams, the more relevant the learning interventions may become.